Just finished a bowl of Burley Flake no. 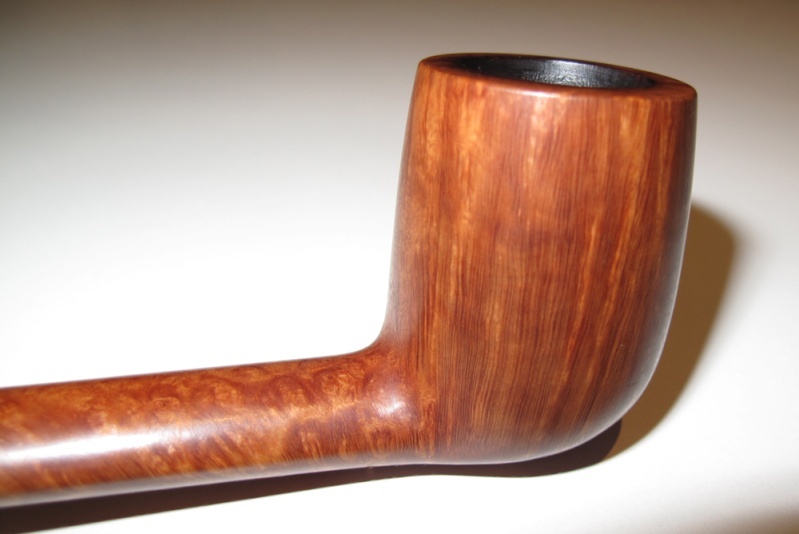 1 in a Mastro de Paja Brugo bent rusticated egg. 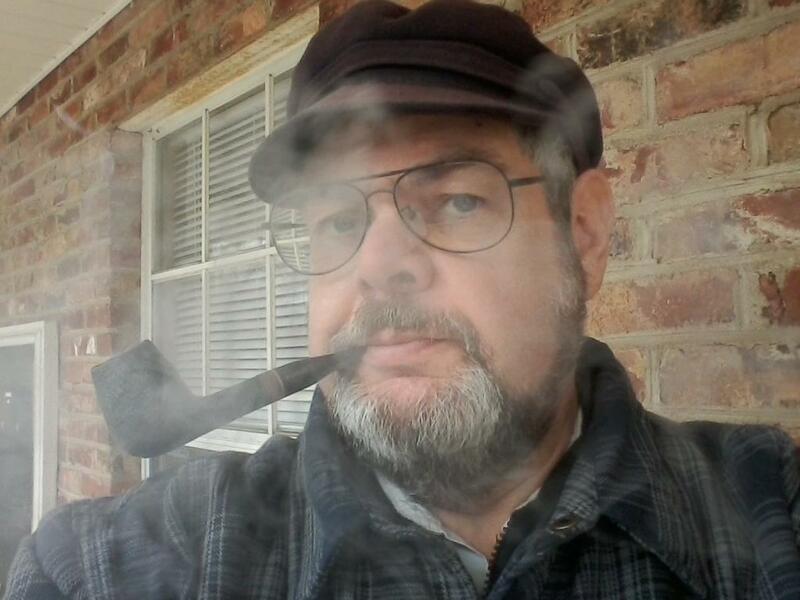 Now smoking St. James Flake in an Ardor Urano Fantasy bent apple. Part way through this bowl of Sutliff 511 Black Whiskey in a 2014 smooth quarter bend Basil Meadows horn. Three Star Blue in a 2003 IMP horn Meer. It's 20:28 CST and just lit up my usual evening post dinner bowl of Lady 'N', some Royal Yacht in my Charatan second, a Mountbatten tanshell finished Canadian. Chicory coffee 'N' Awlins style on the side. tea at this desk, DGT '06 YaleMixture in Caminetto "Business" #174 in smoking room. Almost half way through this bowl of McClelland Black Tie in a brown 1980 long stem three quarter bend Caminetto 205 Business egg. Almost finished smoking Straus Union Terminal in a medium bend 2001 Ural lattice Rhodesian with a yellow stem with white swirls. McClelland Emperor Leopaldo in a post WW2 Pre-Republic Peterson Dublin straight smooth X155 Bulldog with a sterling silver band. Just finished smoking MacBaren Vintage Syrian in a full bend black pebble finish 2001 Rinaldo Lithos YY8 Titania Silver Line egg. Next is Royal Yacht in a 1970s smooth GBD 9665 slight bend with a rough top flat bottom sitter. Edgeworth Ready Rubbed Match in a 2003 black sandblasted medium bend Karl Erik Ekstravagant blowfish. it's 07:02 CST and starting the day with my usual ketchup/sweet FM 2000 in my "new" Punto Oro512KS Pot. Chicory coffee 'N' Awlins style on the side. Starting the day with some delicious Kendal Kentucky in a Dunhill Root bulldog. juice/meds at this desk, DGT '06 YaleMixture in SerJac Maxima 1/8 bent bulldog in smoking room. Sutliff Chocolate Supreme in a 2013 slight bend red stone Rekamepip Rockcob poker. OGS in my Sav 316 Oscar Lucite. Barking Dog Match in a 2004 smooth long stem Canadian Trever Talbot Ligne Bretagne Faite en Bretagne 4/3. 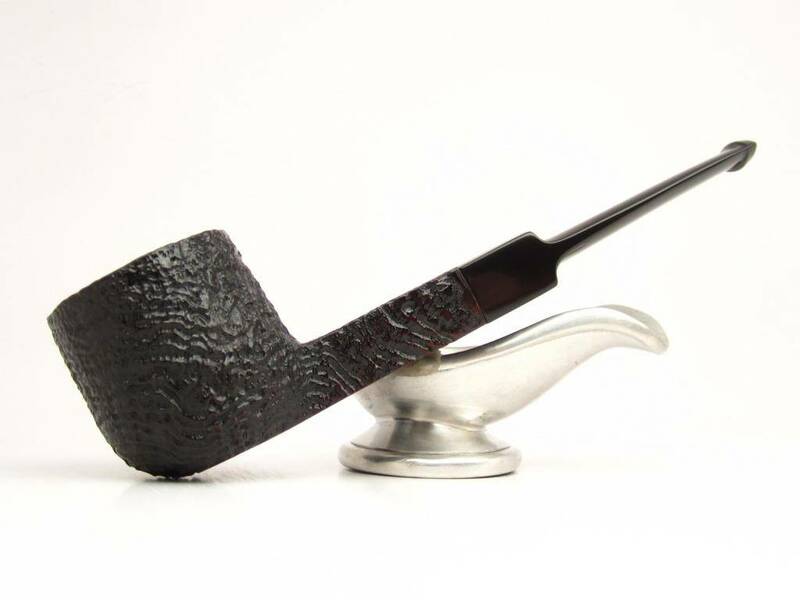 MacBaren Navy Flake in a 1980s Peterson 314 Full Bend black Sandblast system pipe. A couple minutes away from smoking Rich Dark Flake in a 1998 smooth medium bend Peterson Limerick 69 with a nickel band.